ESPN Deportes Wins Sports Emmy for Outstanding Studio Show - ESPN Press Room U.S.
On a night that recognized the best in sports media, ESPN led the way with 10 Sports Emmys presented by the National Academy of Television Arts and Sciences for the 39th year. 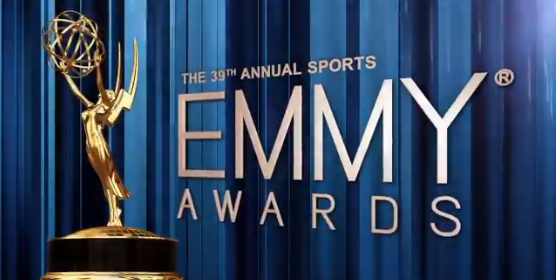 ESPN Deportes Fútbol Picante won its first Sports Emmy for Outstanding Studio Show in Spanish, the network’s fourth win in this category in five years. Fútbol Picante is ESPN Deportes Mexican soccer news and opinion daily program, hosted by some of the most respected sportscasters in Spanish-language media. The show airs live daily at 2:00 p.m. and 12:00 a.m. ET. Fútbol Picante es el programa diario de ESPN deportes de noticias y opinión sobre el fútbol mexicano, presentado por algunos de los más reconocidos comentaristas de habla hispana. El programa se emite diariamente en vivo a las 2 p.m. y a las 12 a.m. ET.